Embarking on her sophomore year at Hubbard High School, Brooke Papini is a first-year member of the HUB. Brooke was drawn to the HUB because she enjoys writing about events that interest her and wants to advance her writing skills. She hopes to write about many different subjects that will spark the interest of her readers. Brooke is currently enrolled in all honors classes at HHS. Even with these responsibilities, she commits her free time to extracurricular activities. She is a member of both the Spanish and Ecology Clubs, the girls’ soccer and bowling teams, and is part of the HHS Marching Band. Brooke was accepted into Wind Ensemble as a sophomore and considers this to be one of her major high school accomplishments. These activities keep her busy and engaged with student life at Hubbard High School. 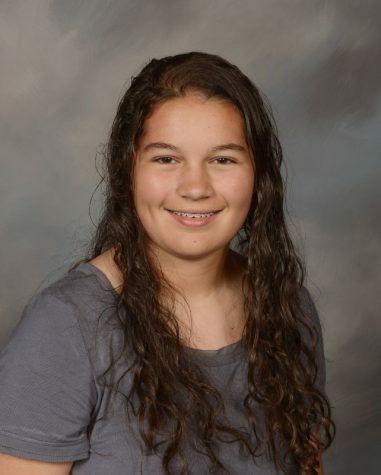 Brooke hopes to maintain a high GPA throughout high school and graduate with honors. After high school, she plans to attend Youngstown State University. She would first like to obtain a bachelor’s degree in nursing then continue on to earn her master’s and become a nurse anesthetist. Brooke is looking forward to the 2018-2019 school year and hopes to write articles that will inspire her classmates.